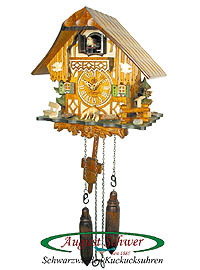 This clock also has a music function, after the cuckoo call the clock plays a tune. 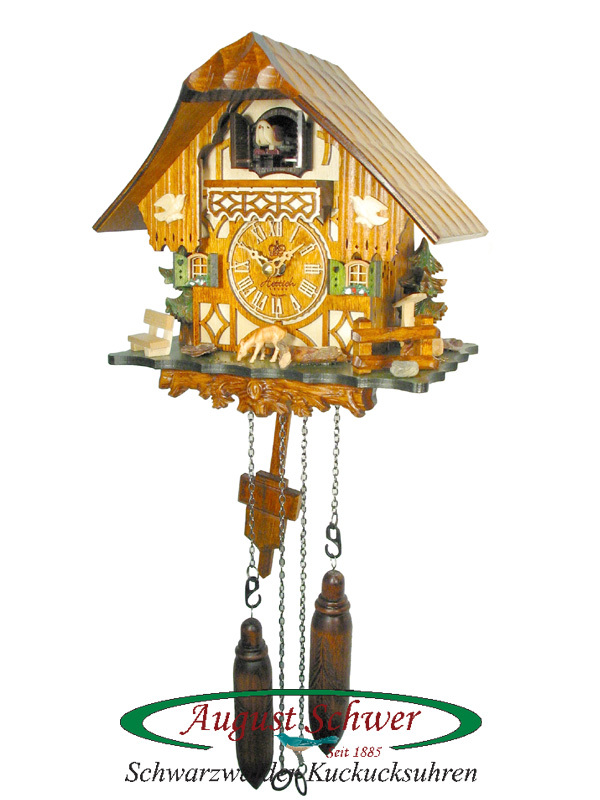 Similar to mechanical clocks, the clock play Edelweis and Happy Wanderer alternatingly. Size: 8.3 inches tall, 8.3 inches wide, 6.3 inches deep.